Now open, Aventura Mall’s three-level expansion wing creates an inviting exchange between indoors and outdoors highlighted by a two-level Topshop Topman store, the much-anticipated return of Zara, an array of inviting restaurants and cafes, and experiential, site-specific additions to the Arts Aventura Mall collection. As visitors arrive, they are awed by the monumental, nearly 93-foot tall, tubular Aventura Slide Tower by Carsten Höller that can be enjoyed from a distance or soon experienced by sliding down the sculpture. Gorillas in the Mist by The Haas Brothers is comprised of three large-scale bronze gorillas and four massive bronze trees. The piece functionally circulates water, creating a space that is peaceful, evocative and amusing for families. Foodies are excited about the recent openings of CVI.CHE 105, featuring traditional Peruvian cuisine, and Genuine Pizza, a casual restaurant by James Beard Award winner Michael Schwartz. Both restaurants feature indoor-outdoor seating. Additional debuts include Blue Bottle, Tumi, Clarins and UNTUCKit. Designed by renowned architect Carlos Zapata, the wing features an 84-foot by 50-foot glass wall at the entrance offering panoramic views of the surrounding landscape. 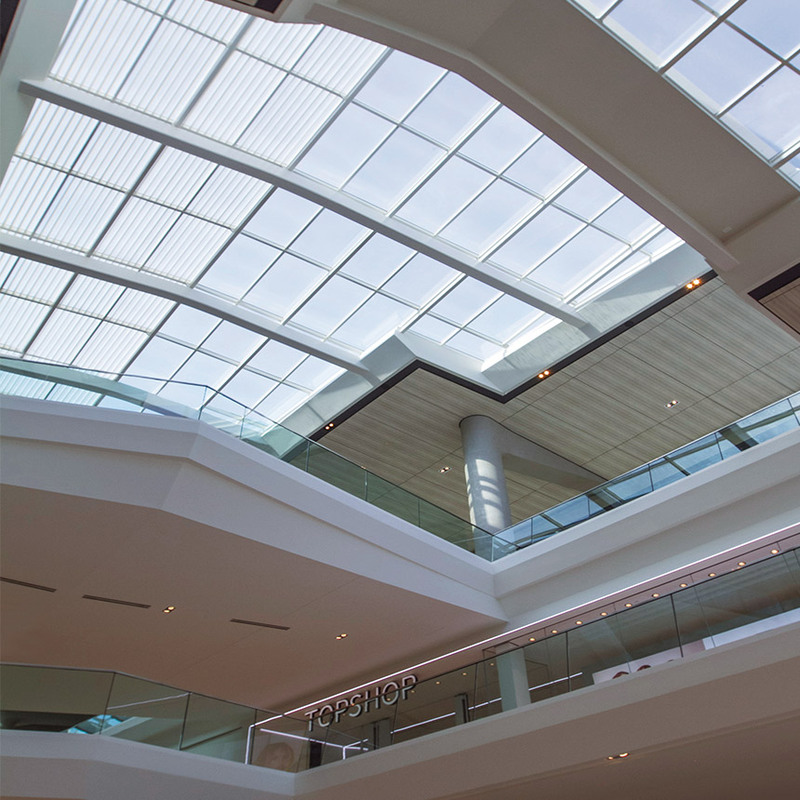 A continuous 350-foot skylight runs the length of the wing, providing natural lighting and stunning views. Other expansion wing highlights include Treats Food Hall, which will open this winter with an eclectic collection of nearly a dozen local and national eateries, and LEVEL THREE – a luxurious lounge for visitors to relax and enjoy activities and events. LEVEL THREE will debut in spring 2018.